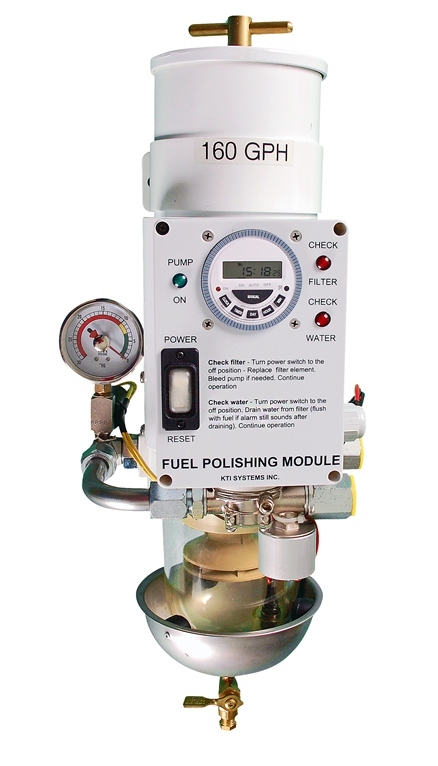 FilterBoss fuel polishing modules (FPM) are designed to fit into tight engine compartments. The have such a small footprint that many boat owners will now be able to install a filtration system where tradiutional units would have never fit before. With a sleek, versatile design, it’s at home anywhere—from the surf to your kayak, to hanging with friends. 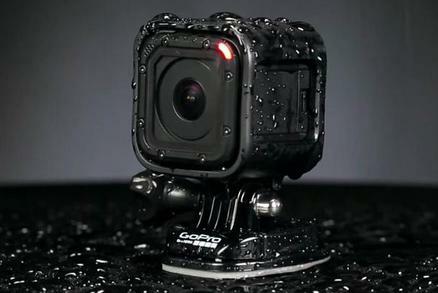 Keep one onboard your boat to record all the memories! 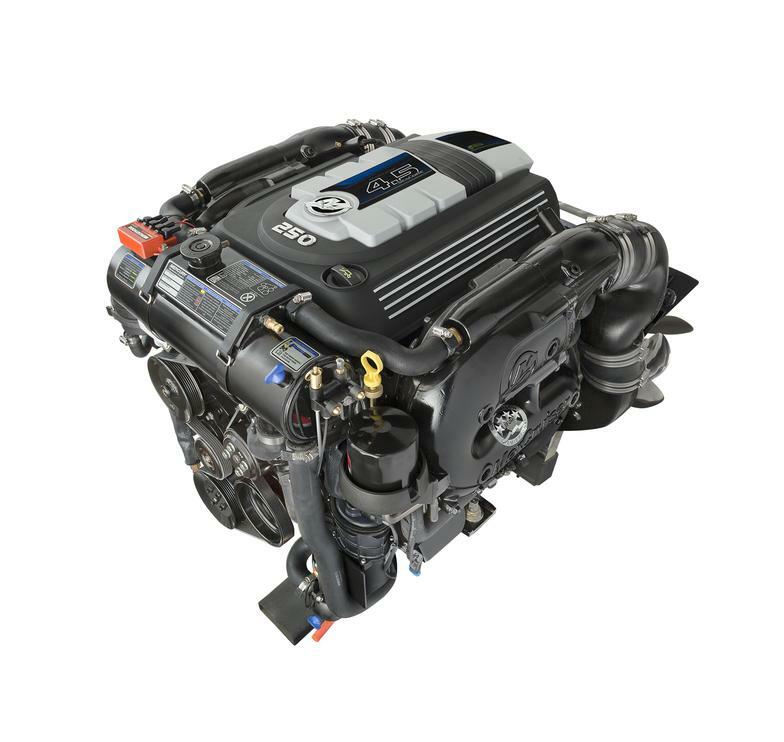 The new MerCruiser 4.5L is the latest response from Mercury Marine to a change in the supply of engines it feels are suitable for inboard marinization. Designed and built in-house, the MerCruiser 4.5L is a 4.5-liter V6 that will have an initial rating of 250 hp. Mercury is pitching the 4.5L as an alternative to the 260-hp 5.0-liter V8. In the future expect a de-tuned version of the 4.5L to be offered by Merc as a replacement for the 220-hp 4.3L V6. 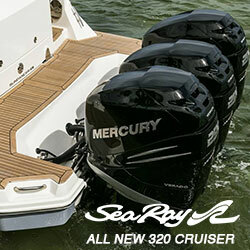 The 4.5L has a WOT range of 4800 to 5200 rpm.Mercruiser says that while the 4.5L makes less peak torque than the 5.0 V8, its torque curve is broader and flatter than that of the V8, good for mid-range power in the marine cruising rpm zone. The first pair of 4.5L engine will be found onboard a new 2016 model year Chaparral 310 Signature Cruiser. Bigger, best, brightest. The 18 Series is the latest edition to Aqualuma’s Thru-Hull range. 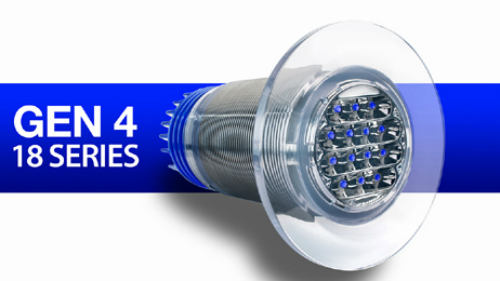 Designed to illuminate the worlds largest yachts. The 18 Series is Aqualuma largest thru-hull option. Designed for large vessels and superyachts, the 18 Series delivers a huge light output at an affordable price in the patented, one piece polymer housing and has the ability to be serviced from inside the vessel. The 18 Series ultra light is encased in the same 12 Series housing and gives Aqualuma 6 and 12 Series owners the ability to upgrade to the18 Series from inside the boat with no haul out. Email to bluewater@asia.com for more pricing information. LOWRANCE announced today a new Outboard Pilot for use with theIR High Definition System (HDS) chart plotter series. This easy-to-use autopilot system allows fingertip steering of the outboard engine, giving anglers an “extra hand,” so they can focus more on their fishing activity. Designed for single outboard set-ups on boats 30ft (9m) or less in length, the Lowrance Outboard Pilot can steer to a selected heading, waypoint or along a route, as well as execute a selected turn pattern. The Outboard Pilot is easy to install and configure, right out of the box, featuring all the required parts for a do-it-yourself solution. For more information on the Lowrance Outboard Pilot, please visit www.lowrance.com. Demand for fresh water on pleasure craft has increased dramatically in recent years. Many of us now expect daily fresh water showers, pressurised plumbing, and unlimited drinking/washing water. Obtaining water on shore from jetties and marinas is becoming difficult and unpredictable. Having a desalination (water maker) system provides independence and flexibility in your boat holiday planning. Until now, the only option has been a complex system built into your boat. The high cost, complexity, and maintenance requirements of such systems have been daunting. 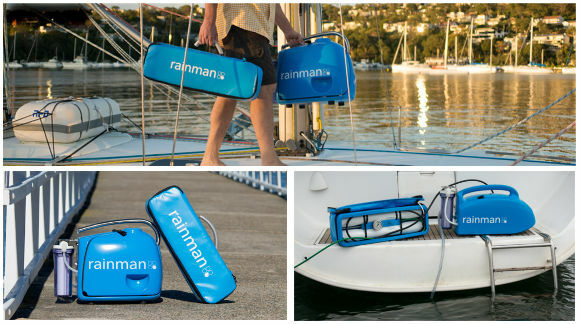 Now there's a simple, low maintenance, and inexpensive water maker that doesn't need to be installed in to your boat but a portable unit you can bring along and use it on your next boat when you upgrade. MARINE TRAFFIC is a paid Apps for ship (yachts and boats included) tracking based on AIS technology. The apps provides free AIS information for over 100,000 vessels worldwide. You can find further details for each vessel such as: name, AIS type, gross tonnage, draught, callsign, current course, destination and expected time of arrival, speed and coordinates of the vessel and even last five port calls. Want to know where your friends is currently cruising or fishing anywhere in Singapore or the World? Marine Traffic will find it for you. Marine Traffic also displays information for over 13,000 ports all over the world and allows you to track them on the map. You can find information for each port's locode, its size and you can even see nearby ports onto the map.